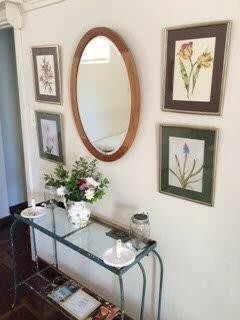 7 Oatlands has two guest cottages for rent. Guests enter the property through a remote controlled gate and are given their own keys and remote for the duration of their stay. 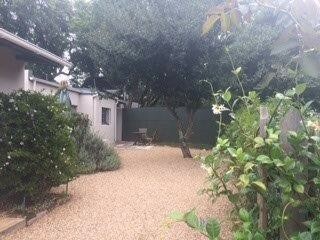 A neatly paved driveway leads up to the guest's parking bays. The main garden is pretty, neat and well maintained. 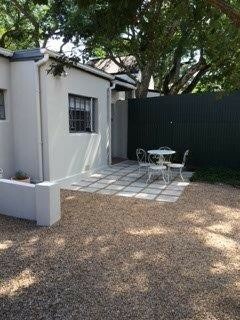 There are two Guest Cottages which are separate from the main house with their own private entrance. Both cottage offers an attractive private outdoor area with lovely garden furniture and consists of a spacious open plan lounge/ bedroom, a kitchen and separate bathroom. 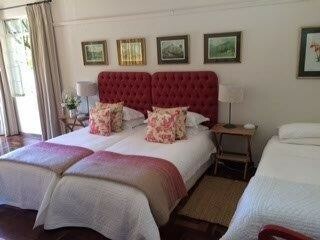 In Cottage One, there an open plan lounge/bedroom area which comprises of three single beds made up with beautiful white linen and feather duvets and pillows including electric blankets for Grahamstown's chilly winters. The sitting area includes comfortable seating and a flat screen TV with full DSTV. The kitchen is light and spacious and is equipped for self-catering purposes with a fridge, microwave, two plate and plenty of crockery etc. There is also a table and four chairs for eating at or could also be used for working at if required. On arrival Ground Coffee/tea/rusks/fresh milk are provided. A complimentary fruit bowl for guests enjoyment is also provided. Before entering the bathroom is a small dressing room. 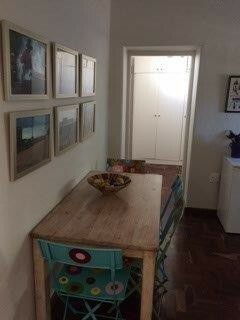 Large built-in cupboards provide ample packing space. 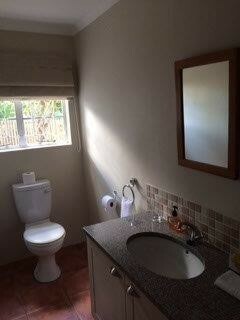 The bathroom is modern, spacious and light. 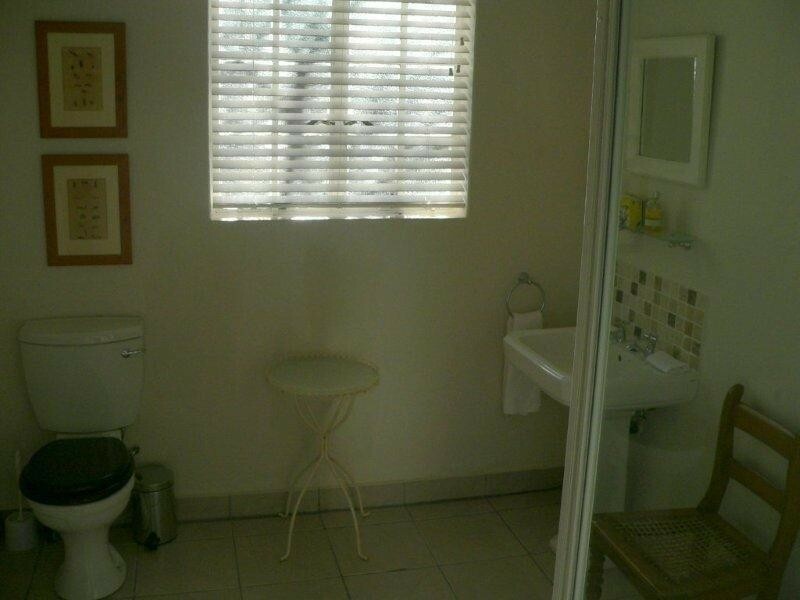 The bathroom consists of a toilet, a basin and spacious shower with glass doors. Lovely white fluffy towels are provided. 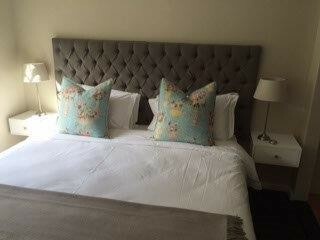 Cottage Two has a king-sized bed with beautiful new white linen. 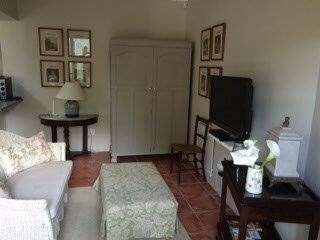 This cottage also has a sitting area, kitchen with a bar counter and flat screen TV with full DSTV. Because of the owners business being interior decoration, both cottages are very pretty and very comfortable. 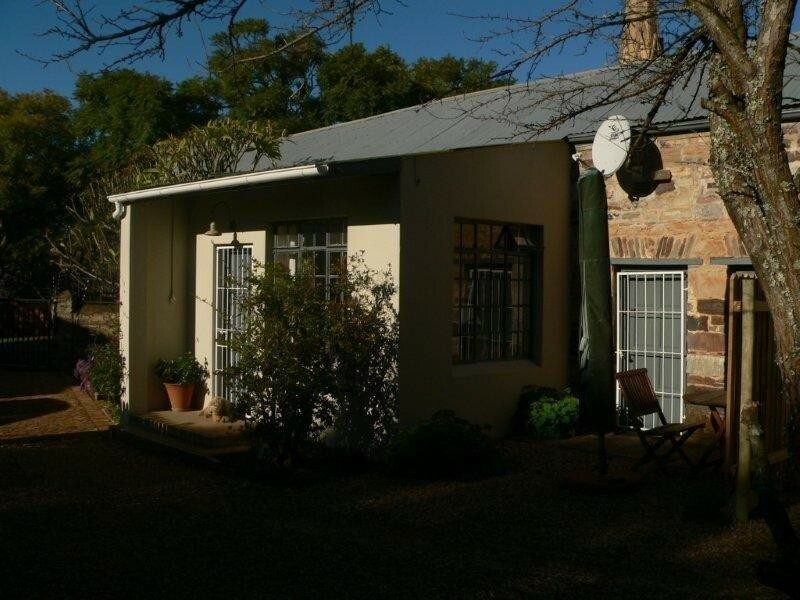 7 Oatlands Guest Cottage is located 200m from Peppergrove Mall and Restaurants, 250m from The Highlander on Worcester Street, 300m from St. Andrew's College, 700m from DSG, 1km from St. Andrew's Prep and about 900m from Rhodes University.